Galleys in Valletta by Joseph Muscat (Malta Maritime Museum). Bataille de Béveziers 1960 by Albert Brenet. On the occasion of the visit to Malta of the French frigate Tourville, a talk highlighting the historical connection between Malta and La Marine de France recalled glorious days of the Order. While Malta basks in the international media sunshine with its current humanitarian response to an unfolding tragedy in neighbouring Libya one cannot help but reminisce on its centuries old role as a seafaring island. We can revel in romantic notions of years gone by when the Order of St John discovered and exploited the natural beauty of its Grand Harbour transforming it into the world’s finest naval school of the time. As early as the 16th century, witness to all this was the impressive French navy. Under its illustrious kings, France founded its first naval school in Malta gleaning all it could from the wealth of experience the chivalric Order had established here after Rhodes. This exciting connection was highlighted at Europe House in Valletta by Contre-admiral François Bellec of the Académie de la marine who, as guest of the French Embassy and the Alliance Française de Malte, spoke about the historical association the French navy enjoys with the Order. Following an engaging presentation by Carmen Depasquale on the presence of Maltese corsairy in Malta’s French literature of the 18th century, François Bellec recalled how the Order’s small fleet of galleys left an impression during the siege of Cyprus and the battle of Lepanto in the 16th century. The knights’ sense of organisation and discipline backed by their spiritual and moral character impressed Christian powers, foremost among them France. Cardinal Richilieu embarked on re-organising the French fleet on the Maltese model. He sent Chevalier des Roches in 1620 to study the Order’s naval set-up in Malta. By 1640, the French fleet could already boast of 25 operational galleys. Naval politics required design, willpower, budgets and perseverance. Colbert vowed to make Louis XIV master of the Mediterranean. In ten years’ time Marseilles’ arsenal launched thirty new flamboyant galleys. In 1669 the king ordered his Maréchal de Vivonne to observe and learn from the navy of the Religion. 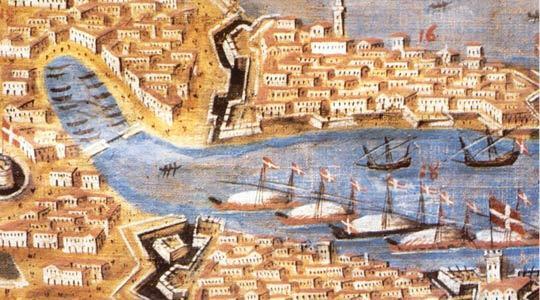 The Order’s galleys were built in its arsenal – using Sicilian wood – in Italy or in France under strict control by the Order’s commissioners and finished in Vittoriosa. Slightly heavier and slower than their Venetian and Muslim counterparts, they were better armoured. Exploiting the sails to economise on manpower they proved to be the ideal craft for the sometimes stormy Mediterranean. Chroniclers of the time praised the Maltese galleys’ mastery of the waters. The Order recruited the best officers from Provence, Genova, Naples, Amalfi, Sicily, Greece and Catalonia. The Maltese were the best trained sailors in the world. Barras de la Penne from Provence explains how other navies would recruit leading rowers from Malta. By the end of the 17th century the French fleet became the most powerful in the Mediterranean, busy protecting commercial routes. 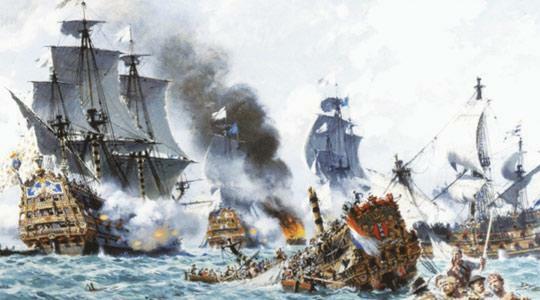 In 1684, the war vessel Le Bon alone defeated 36 Spanish galleys. At the time the royal fleet included 30 galleys, 120 vessels and 25 frigates, with the newly created vaisseau taking centre stage in the theatre of war. Another remarkable French connection with Malta concerns the Order’s young artistocratic recruits from the Langues of Provence, Auvergne and France in Valletta. They founded the first French naval school in Malta’s Grand Harbour learning discipline, spiritual and physical endureness, mathematics, navigation and the art of combact. In 1683 France followed with its own schools in Toulon, Brest and Rochefort. By the 1780s Malta’s university had established a school for mathematics and nautical sciences, later turned into an École Centrale by Bonaparte in 1798. In France Louis Philippe established a national school in Brest in 1830. The fact that eighty per cent of captains in the French royal navy carried the title of Monsieur le Chevalier explains the third strong association with Malta. Though later on there were less knights on the vaisseaux, the most famous French admirals remain the Knights of Malta: Prégent de Bidoux in 1497; Count Grasse, victor of Chesapeake, preceeding the American Independence; the great Bailli de Suffren, Chevalier Paul and Maréchal de Tourville. 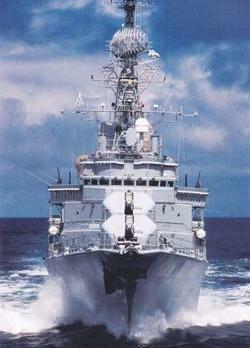 It is after such men that the Marine de France traditionally names its ships until this very day. • Malta this week joined many countries around the world to celebrate the Fête de la Francophonie. The month-long festival is intended to celebrate the international and linguistic community that share French.